On November 19th, 1997, history was made when Bobbi McCaughey gave birth to the world’s first set of surviving septuplets. Bobbi was 29 at the time when she needed a Caesarean section performed by over 40 specialists to have her babies. 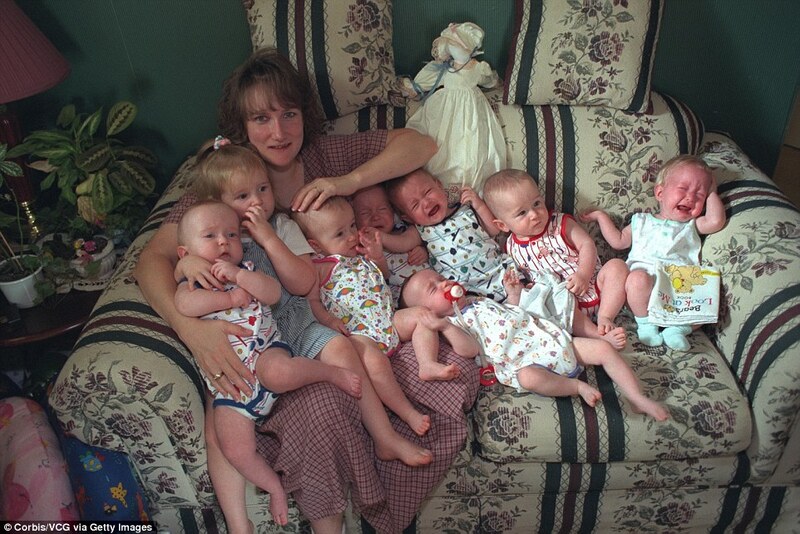 It was the first time in the history of the US that one woman had given birth to that many surviving multiples. The Caesarean took less than 10 minutes for the four girls and three boys to be born. Incredibly all seven babies survived despite being born two moths prematurely. The smallest child weighed just 2.5 pounds while the biggest was only 3.4 pounds. Despite the odds being stacked against them, the parents and doctors alike were thrilled to welcome the now famous Septuplets into the world 9 weeks early. Despite some negativity, the McCaughey family received many donations including a house, a van, a two year supply of diapers and nanny services. They were even offered full college scholarships to any state university in Iowa and by the Hannibal-LaGrange University in Missouri. They still live in the same house that was donated to them all those years ago and even still use the van. They say it was all the help and support they received that got them through raising their children. Since their birth 20 years ago, the Septuplets have made various media appearances to let the world know how they are doing. They appeared on the Oprah Winfrey show for a very special first birthday celebration. The family was even contacted by the President of the United States, Bill Clinton, who offered his congratulations to the family. Two of the children, Alexis and Nathan have cerebral palsy but do not let this disability affect them. Alexis worked as a cheerleading manager in high school while Nathan hopes to work in the Science field. 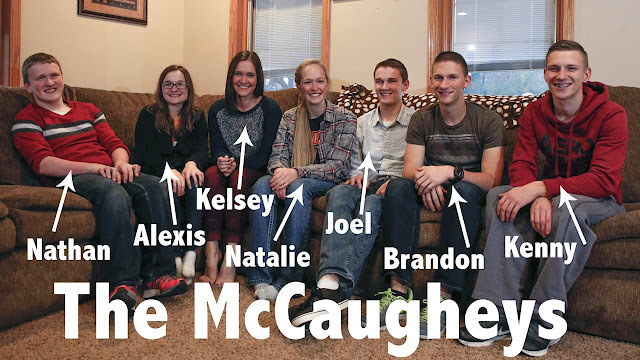 In May 2016 all seven children graduated from Carlisle High School in Iowa. Two of the sisters, Alexis and Natalie were recognized by the National Honor Society, while Alexis was also honored in the top 15% of her class academically. Since then, four of the children have gone to Hannibal-LaGrange University on scholarship. Three of them stayed closer to home at Des Moines Area Community College and one son decided to join the military. 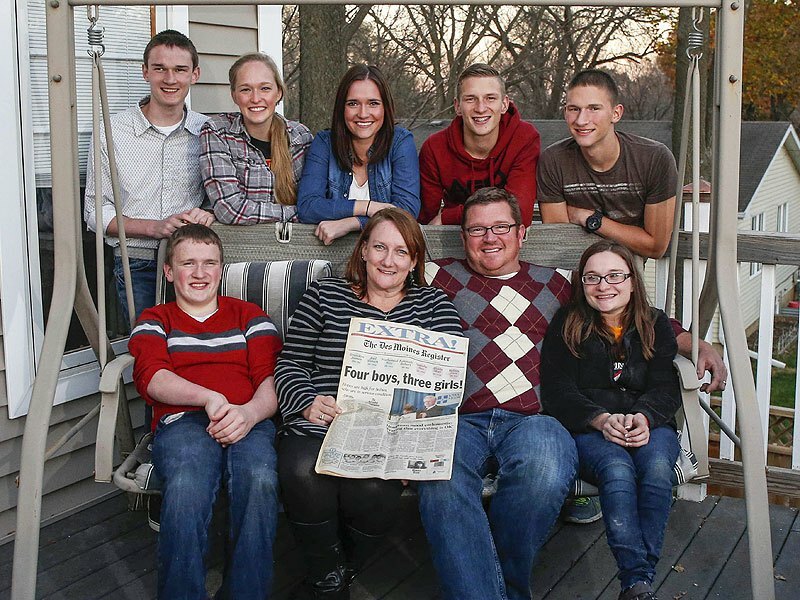 The Septuplets will turn 20 years old next week.